I was thrilled to see Matt Kuchar win THE PLAYERS golf tournament on May 13, 2012. For his portrait, I loved illustrating his vibrant smile; it seems to rise from the art. This was his expression at the moment he was awarded his trophy. 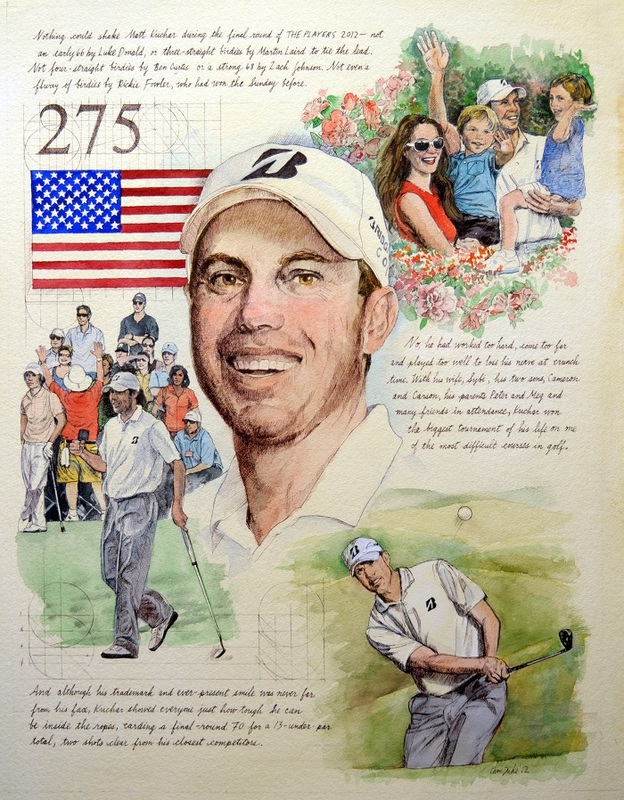 To see more about the process I use for PLAYERS portraits, please see my News update about Matt Kuchar.